Anger management is an important skill that every teenager, and ultimately every adult, needs to learn and use. A lack of anger management skills can lead to destructive emotional outbursts which, according to the American Psychological Association, can result in problems at school, in relationships, and in their overall quality of life. The Journal of the American Medical Association Psychiatry reports that in a national survey of nearly 6,500 teenagers, almost two-thirds admitted that they had experienced at least one outburst that resulted in violence or property destruction. For many teens, especially boys, this angry behavior can be fueled by the use of drugs and alcohol. Anger can also take more subtle forms like sullenness, self-isolation, deliberate silence, and glaring. Some teens take out their anger on others, physical bullying or verbal intimidation, while others turn their anger inward, injuring themselves or taking dangerous risks. This is where anger management comes into play. The use of proper anger management techniques can help a teenage build awareness of escalating anger and give them a variety of tools that they can use to control their emotions and reactions. When anger is managed properly, it can be a healthy and normal emotion; spurring a teen to take action against a “wrong” in their world, stand up for a friend being bullied, or protect a loved one. But, if rage is left unchecked and management skills are not used, then the results can be destructive not only the teen but for all of those around them. By building up anger management skills, teens can avoid the dangerous consequences of aggression, lead healthier lives, and improve their relationships with their family, friends, and classmates. 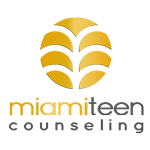 We can help your teen identify anger issues and build strong, anger management skills that will last a lifetime. We are here to help.